An Ames man has been identified as the person who died on New Year’s Day while taking part in an annual event hosted by the Iowa Department of Natural Resources. 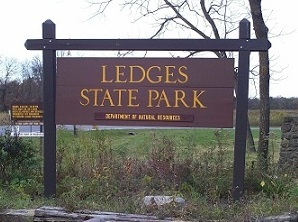 DNR officials say 63-year-old Danny Carlile died after falling roughly 60 feet at Ledges State Park near Boone. It happened late Sunday morning. Carlile was participating in a “First Day Hike” with nearly 100 others — but DNR officials say he left the trail to take some photos before losing his footing and falling to the riverbank below. Carlile was air-lifted out of the park and taken to a Des Moines hospital, where he was pronounced dead.